I might just be a cheater when it comes to nail prompts that don't inspire me. I was really close to doing another galaxy mani for Logic's Incredible True Story album, but I decided I wanted to do something different since we already had a galaxy prompt. Enter Tchaikovsky Autumn Leaves. 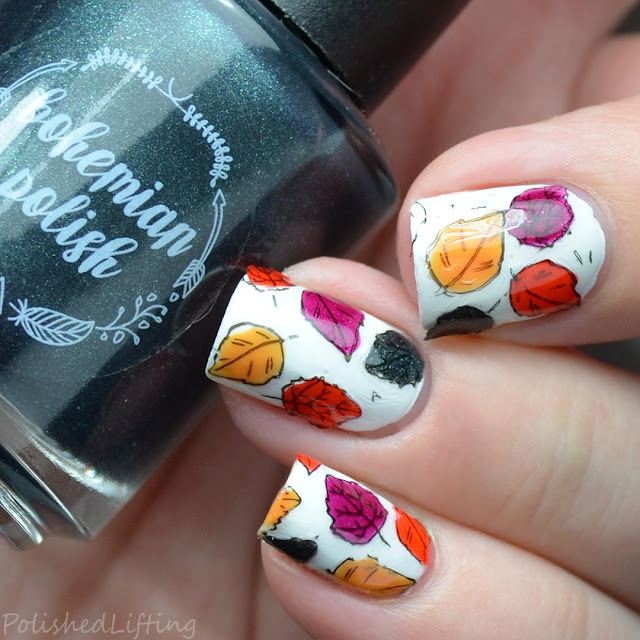 It's a classic and nail art to accompany it is ridiculously easy. For this look I started with a base of Morgan Taylor All White Now, and followed up with an assortment of colors from Bohemian Polish's upcoming Matte About Fall collection. Swatches of the collection are coming soon! If you enjoyed this post you might like 31dc2017 - Galaxy Nails feat. Bohemian Polish Howard's Rock and Bohemian Polish Clemson Memories Collection.